Analogue Mayhem is a Geist Expander featuring organic electronic sounds generated almost exclusively with a large analogue modular synthesizer. Its unique character is ready to deploy in Geist's fast and intuitive sample-sequencing environment. Analogue Mayhem includes insane sequences, SFX bursts, deep basses, chord stabs and multi-sampled synthetic drums which use Geist's round-robin, velocity layering and FX treatments for expressive depth and sonic variation. Anything but vanilla, Analogue Mayhem defies genre categorization and its energy and attitude is relevant in any music requiring powerful and forward-looking sounds. 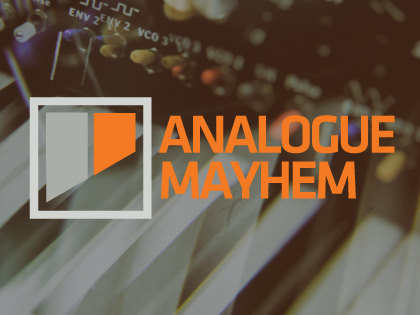 Producers of dubstep, techno, electro, hip-hop, ambient, drum & bass and other creative modern styles will find Analogue Mayhem a trip to use. Although its presets are for Geist, Analogue Mayhem's sounds can be loaded into any device compatible with its 24-bit 44.1khz .WAV and .RX2 files.